Spanish start-up MedLab Media Group (MMG) will showcase its newly developed search engine for medical use based on artificial intelligence at the three-day Global Health Exhibition opening today (September 10) in Riyadh, Saudi Arabia. The product offering by MMG, currently operating in the region from its recently opened office in Dubai, includes an encrypted communication system for the healthcare environment and a digital card for medical professionals. According to combined statistics from the World Health Organisation, World Bank, Alpen Capital and others, the GCC market is expected to grow 12.1 per cent between 2015 and 2020, form $40.3 billion to $71.3 billion. Statistics from the World Bank shows that Saudi Arabia (47.9 per cent) and the UAE (26 per cent) are the largest contributors to the region’s healthcare spending. “The Middle East region, led by the UAE and Saudi Arabia, has witnessed rapid transformation over recent years and governments have announced strategic vision plans to move away from reliance on oil and gas. The healthcare sector presents a great opportunity for MMG as it has emerged as one of the most critical sectors for pursuing economic diversification. “The UAE’s healthcare sector is one of the largest in the region and we want to leverage the opportunity to advance the country’s objectives to further boost the sector and bring innovative and quality services that will enhance the UAE’s position on the global medical map. As we expand in the region, we count on our participation at Healthcare Global to showcase our unique offering to the sector,” Vorontsov added. This intelligent medical search engine will make it easier for doctors to quickly obtain relevant information by keyword search or using natural language processing from the most reliable sources in the scientific world which will ultimately benefit clinical practice globally. DeepAIMed is the new tool for doctors of the future to make decisions. Doctors will have immediate access to quality information and answers to specific or rare conditions, which will avoid mistakes and make more agile and efficient the diagnosis. 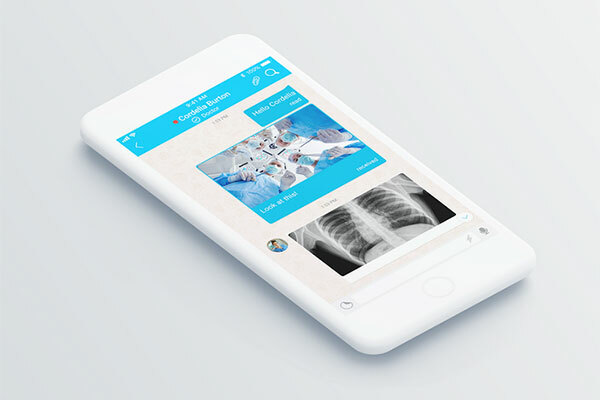 In addition, at Riyadh MMG will introduce MedsBla which is an innovative encrypted messaging system that provides a secure communication environment for doctors, other healthcare professionals, patients, medical students and administrators of Medical Institutions. The professional will be able to separate their personal and professional communications in an environment that complies with the General Data Protection Regulation (GDPR) and the Health Insurance Portability and Accountability Act (HIPAA) which is the strictest European and American legislation respectively.